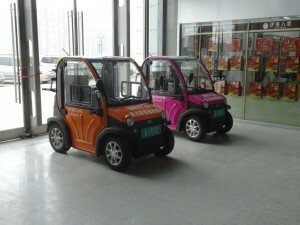 China is clearly world leading in electric scooters. 100 million electric scooters roll on the streets, silently zooming around. 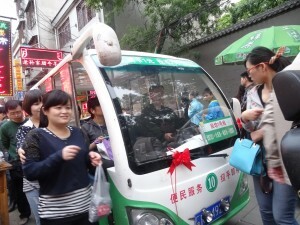 Last year, they sold 20 million scooters, and the price ranges from 700-3000 RMB (90-400 euro). 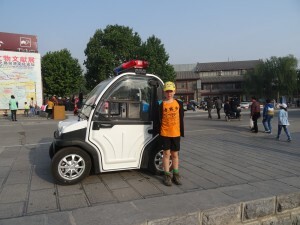 The e-scooter technology is now being scaled up to micro-cars. 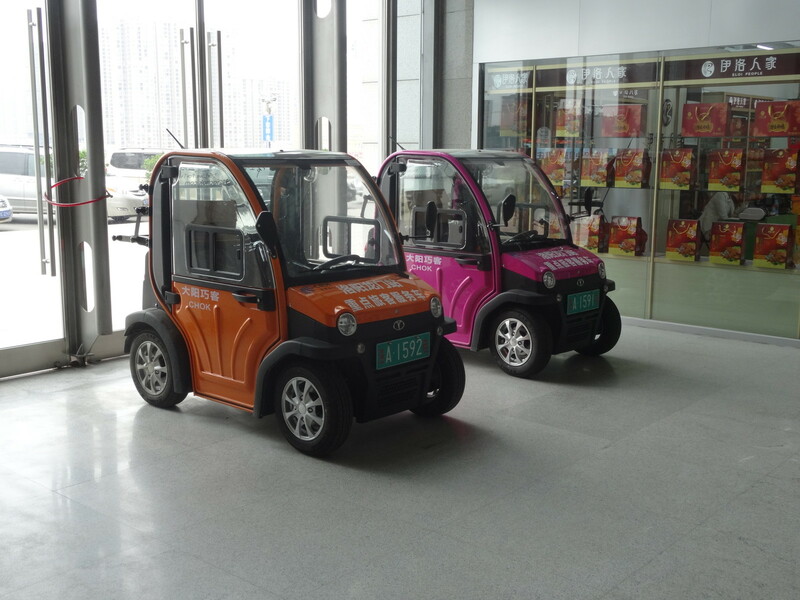 This is a fantastic development, with light-weight cars for city use. Some look like ordinary cars (like the RuiTong car in the picture below), some are completely different. 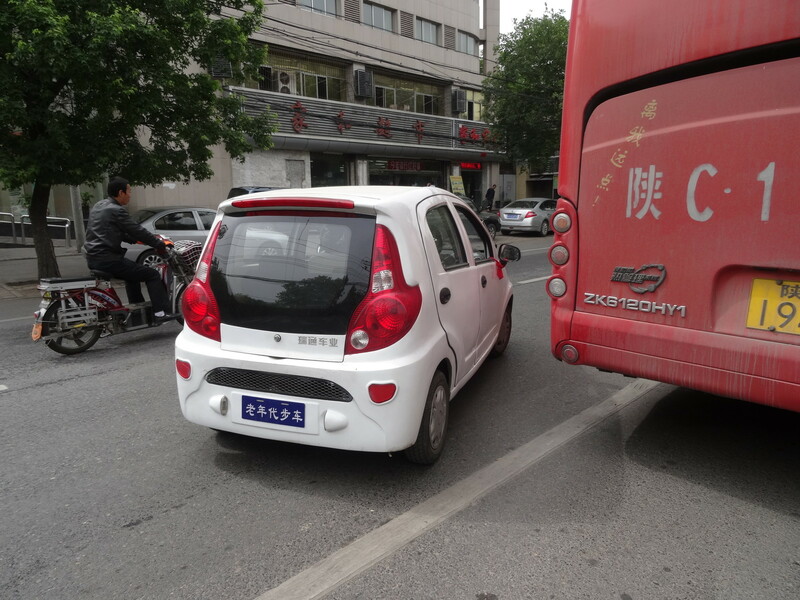 Since the motors are in the wheels and the battery can be located anywhere, the designers have much more freedom in the shape of the vehicles. 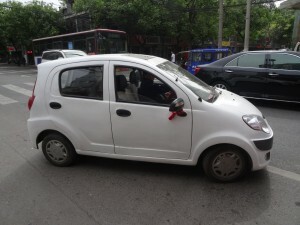 Electric Micro-car in Xi’an. Five seats and simple comforts. Here it is serving as a “black taxi”. It is also doing a great job for public transportation. There are lots of electric three-wheel tuktuk taxis and quite a lot of local mini-buses. Electric local bus (below) and electric three-wheel-tuktuk-taxi (above). 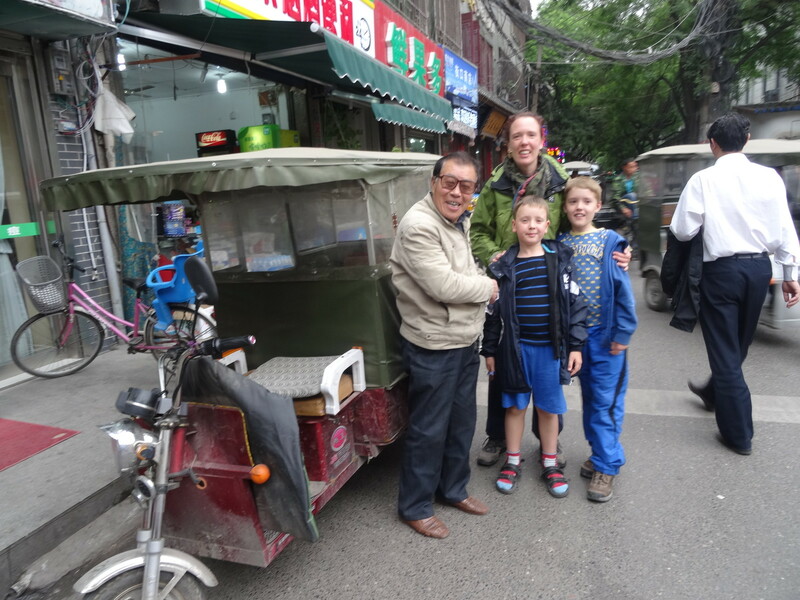 The tuktuk-driver is maybe the younger brother of Zhou Enlai? Electric two-seater for the local police force. Longmen caves scenic area. This kind of cars is really good for the mega-cities that are taking over more and more of the global population. Much lower weight, less material use and no local exhausts. Fantastic complement to train/metro and bicycle systems. At the train station in Luoyang.